Marloes ten Bhömer proposes an alternative to conventional clichéd high heel. Ever feel like you’ve seen just one too many Eames chairs? Association of Art Museum Curators has honored StereoType with an Award for Excellence in the category of Best Exhibition in an Institution with an Operating Budget Under $4 Million. Certificates were presented to Ginger and Judy at the Brooklyn Art Museum during the AAMC annual meeting, May 2015. 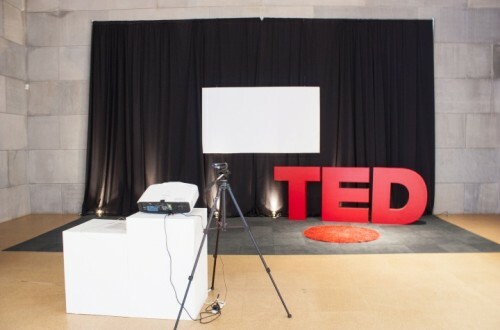 The opening week of Evan Roth//Intellectual Property Donor at Wesleyan University reached into the lives of students as they filled his workshop on hacking, overflowed the auditorium spellbound by his talk, and in the gallery, continued animated conversations with him. A panel discussion, front page coverage in the student newspaper, and hanging around in the gallery, evidence the chord this exhibition is touching on campus. Artists Reclaim the Common, just published by International Sculpture Center Press, re-prints Judy’s 2004 piece on Patrick Killoran. Judy in the September issue of Sculpture Magazine. Judy’s interview with Beverly Pepper will be in the September issue of Sculpture Magazine. The cover essay touches on the issues within their concurrent exhibition, FOOD, WATER, LIFE / LUCY + JORGE ORTA, as well as their upcoming Philadelphia Meal project. The American Association of Museum Curators has selected FOOD-WATER-LIFE—LUCY+JORGE ORTA as one of the five exhibitions to compete for its 2012 AAMC Award for Outstanding University Exhibition which is incredibly exciting. A vote by the AAMC’s membership will determine the top achiever. C2 organized this exhibition for the Tufts University Art Galleries (http://artgallery.tufts.edu/exhibitions/traveling.htm) where it opened in September 2013. After its run at the Zilkha Gallery, Wesleyan University, the show is waiting for Spring 2014 to go to the Johnson Museum at Cornell University and then the Peeler Art Center at De Pauw University. The newly renovated BSA Space at the Boston Society of Architects will host StereoType in September 2014. The award was announced in December 2013 and Ginger and Judy are already working to ensure a successful inauguration in Boston and a tour to follow. 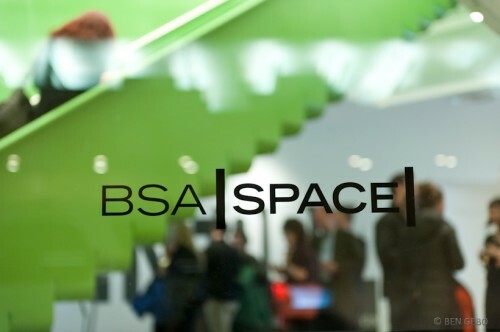 They are delighted to work with Lyn Rice and Astrid Lipka of Rice+Lipka Architects in New York on the exhibition design and hope to realize an innovative epublication as well. Ginger will be speaking at the International Institution for Conservation biannual conference in Vienna on September 12. The subject is timely, interesting, and relates to many upcoming and past c2 projects, including Mechanical Couture and MashupModern. 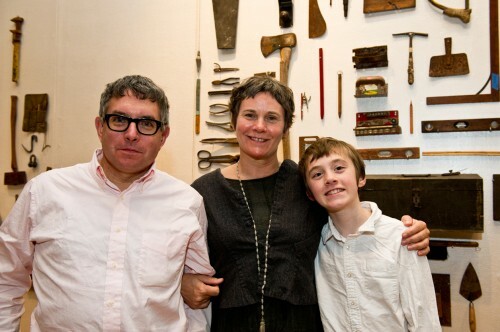 J. Morgan Puett (center) who, with Mark Dion (left), instigated Mildred’s Lane Renovating Walden at Tufts University Art Gallery, fall 2011, has been awarded a USA Fellowship Grant, a $50,000 award to support her work (on the right is Grey Rabbit Puett). The London-based designer whose work introduced and featured in both WOWdesign and Mechanical Couture, has received this prestigious grant to enable a year of research to develop and produce a new concept of the shoe, in materials, construction technique and aesthetics. 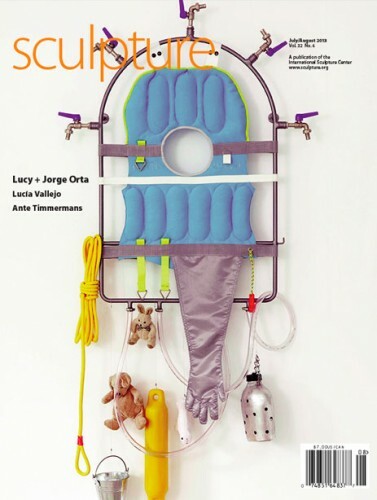 Sculpture Magazine, June 2011, published Judy’s article on the work of August Ventimiglia. 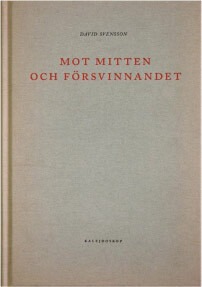 David Svennson’s artist book, Mot mitten och försvinnandet/Towards the Middle and Into Absense includes a text by Judy. 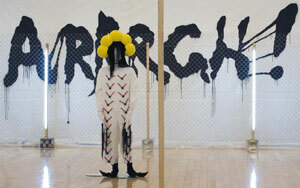 Finnish Fund for Art Exchange (FRAME) awards Ulrich Museum of Art 10,000 Euros to support the exhibition ART ON SPEED. 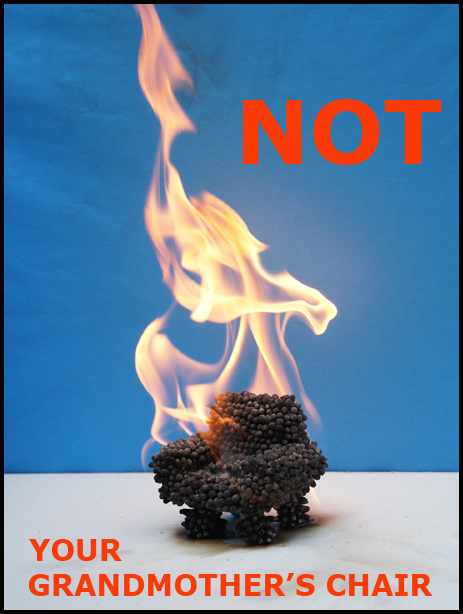 ATOPOS Cultural Organization in Athens, Greece is publishing our essay in NOT A TOY: Contemporary Characters in Fashion. The book is a collaboration between ATOPOS www.ATOPOS.gr and Pictoplasma, www.pictoplasma.com, the worldwide leading organization on contemporary characters. Valerie Steele, Claire Wilcox, Jose Teunissen, Ted Polhemus and Lydia Kamitsis are other contributors. The book features designers includingWalter van Beirendonck, Issey Miyake, Bas Kosters, Gareth Pugh and NOKI and will be released in April 2011. Mildred’s Lane/Renovating Walden: J.Morgan Puett and Mark Dion, to open in Fall 2010.
c2 has been awarded by Étant donnés: the French-American Fund for Contemporary Art one of three curatorial research grants for 2009 to support organizational work on the exhibition in development LUCY+JORGE ORTA: Collaboration. Studio Blue, was recognized by ID Magazine. The Power of Fashion: About Design and Meaning, originally published by ArtEZ Press in the Netherlands, is now being re-published in both Russian and Chinese. The publication includes Ginger’s essay, which originally accompanied the exhibition Fashion: The Greatest Show on Earth, an exploration of fashion shows as performance art. The Andy Warhol Foundation for the Visual Arts has supported Under Control, to open at Krannert Art Museum in fall 2009, with a grant of $75,000.